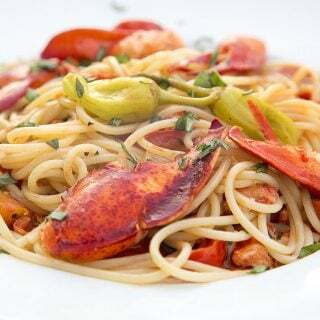 Turn a week night into a special occasion with this quick and easy shrimp fra diavolo recipe. 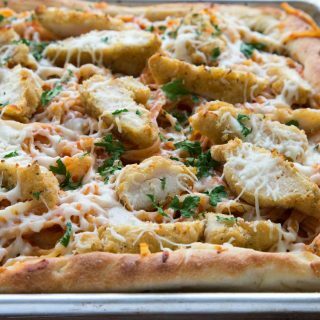 Have a delicious homemade dinner on your table in minutes! Making a delicious dinner shouldn’t be rocket science and shouldn’t take all day to make. 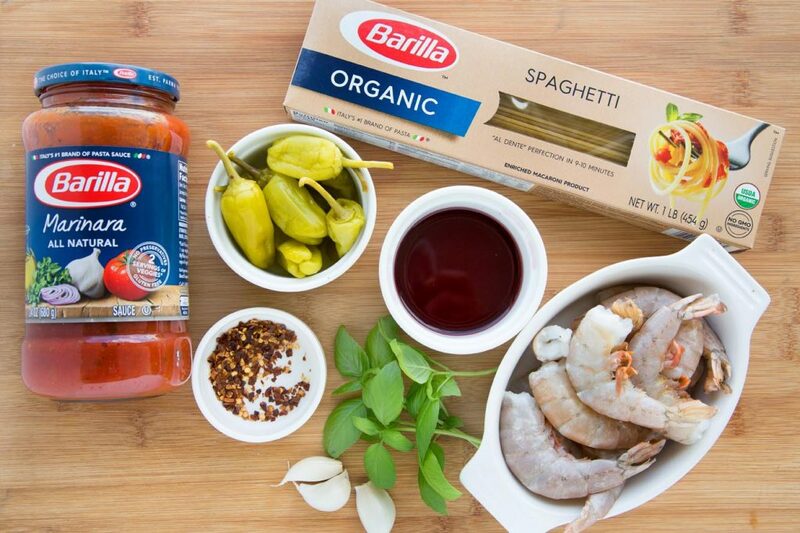 When time permits I cook my own sauce, but when time is short I turn to products I know and trust and Barilla is definitely one of the brands I depend on. 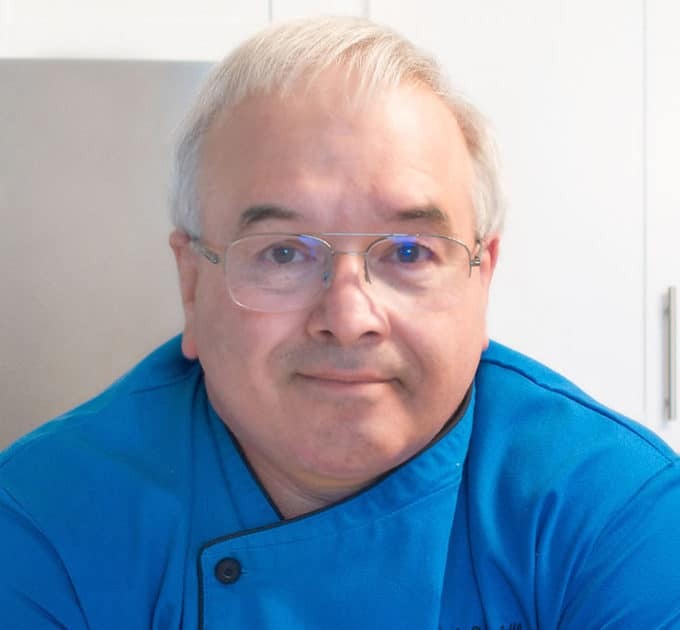 Many thanks to my friends at Barilla for sponsoring this post. Check out the deliciousness I created in the time it took to cook the pasta! 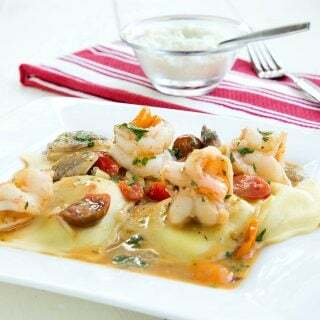 Shrimp Fra Diavolo is a restaurant style dish that you can create in your own kitchen in less time than it would take to pick up take-out at a fraction of the cost. All of a sudden a weeknight meal after a busy day just became a special occasion. 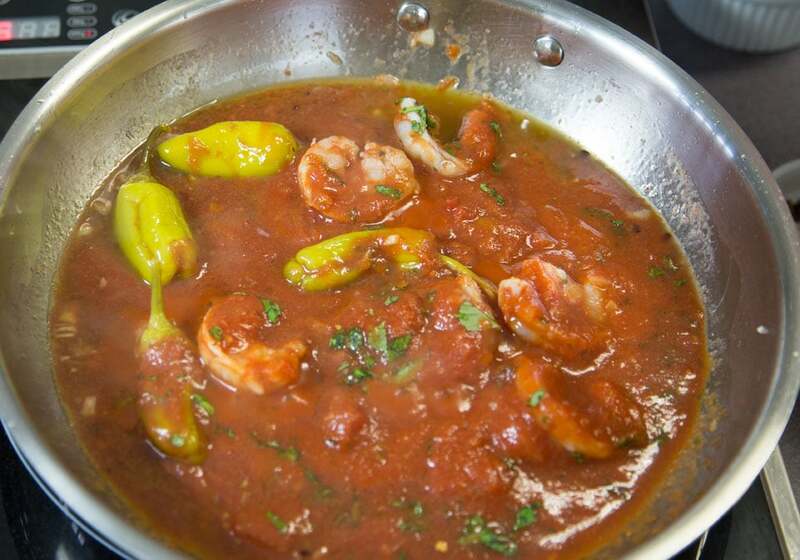 Let’s start by gathering our ingredients (mise en place) to make Shrimp Fra Diavolo. In a matter of minutes, my ingredients are simmering on my stove-top and will be on the table for an easy and delicious dinner. Sure beats the drive-thru! 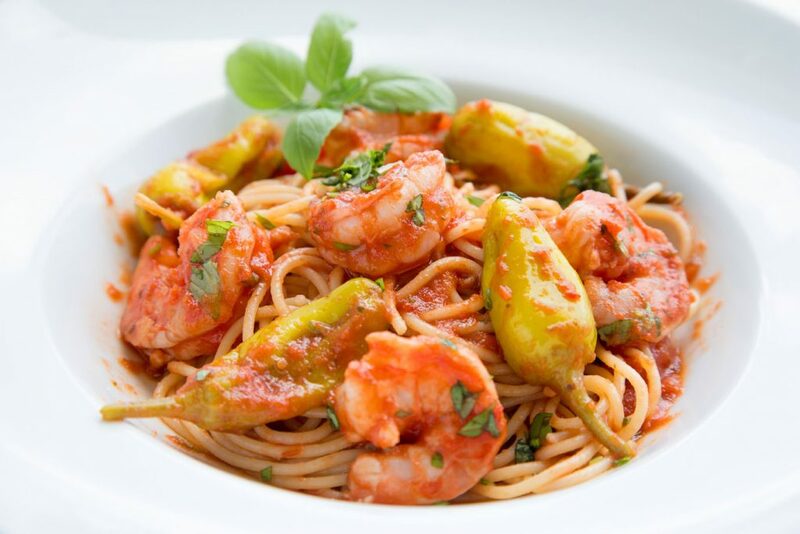 Shrimp Fra Diavolo, a delicious way to turn an ordinary day into an extraordinary evening! Barilla Organic Pasta is Certified organic wheat, It contains No GMO ingredients, always cooks up “al dente” and is deliciously organic. I’ve also recently discovered Barilla Whole Grain Pasta and its ah-mazingly delicious and has the all the new nutrition of whole grains. 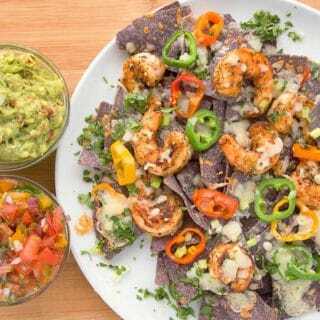 If you enjoyed this recipe you may also like these delicious recipes featuring shrimp. 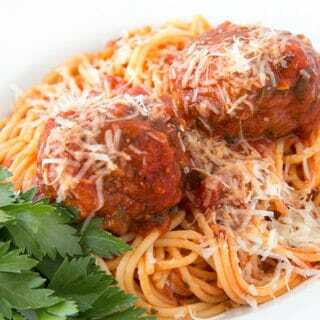 Mix a little of the sauce into the spaghetti and place portions in serving bowls. 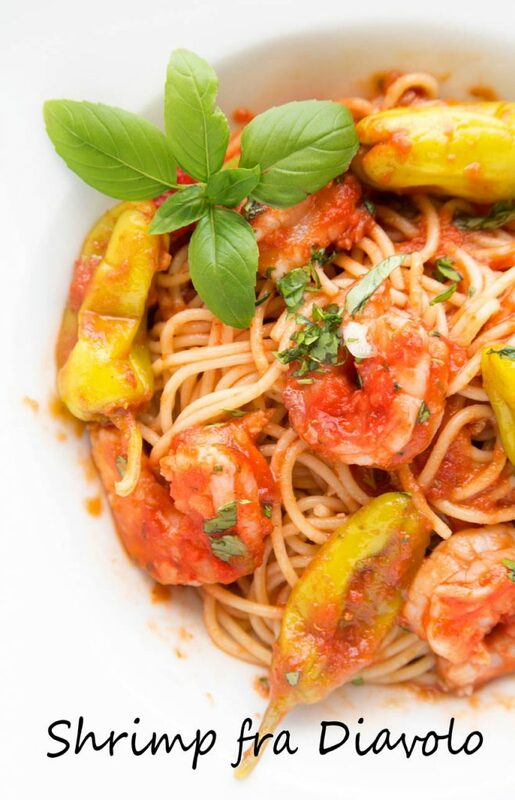 Top with shrimp, pepperoncini, additional sauce and a sprinkle of chopped basil. 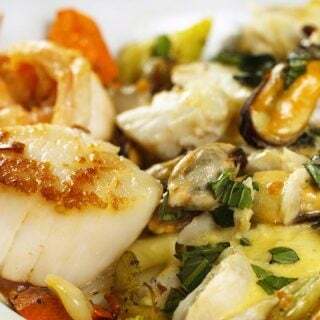 Serve with crusty bread and enjoy!